This photo makes me oddly hungry. Art! Did You Hear the News? Snowboarding is DEAD! Google Maps updated their ski area section with 38 new maps — and introduced them with this super intense intro… You just stepped out of the gondola into a strong wind at the peak. Ski and Ride New York on $10 Day! January 2, 2013, No Comments on Ski and Ride New York on $10 Day! 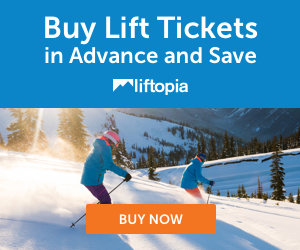 Ski Free Lift Tickets is Back for 2013! December 12, 2012, 2 Comments on Ski Free Lift Tickets is Back for 2013! The Interweb Strikes Back — Bulldogs on Snowboards! December 8, 2012, 1 Comment on The Interweb Strikes Back — Bulldogs on Snowboards!